You bite into an ice cold spoonful of ice cream and there it is — the familiar pang in your back molar. Pain radiates down your jaw and you realize, it is long past time to see the dentist. If you are experiencing a severe pain in your teeth or a sensitivity to cold, it could be due to a cavity. Cavities are extremely common and affect over 90 percent of adults in America. This means that at one point or another in your lifetime, odds are high you will suffer from the pain of at least one cavity. When you are faced with this unpleasant reality, the very first thing you should do is schedule an appointment with a dentist at Frederick smiles Dental Care. As experts in general dentistry in Frederick, we will be able to assess whether or not a cavity is the factor leading to your pain. Once you have received a diagnosis, it will be time to get to work solving the problem. One of the most common dental procedures is filling a cavity. However, dental fillings have come a long way since the days of old. 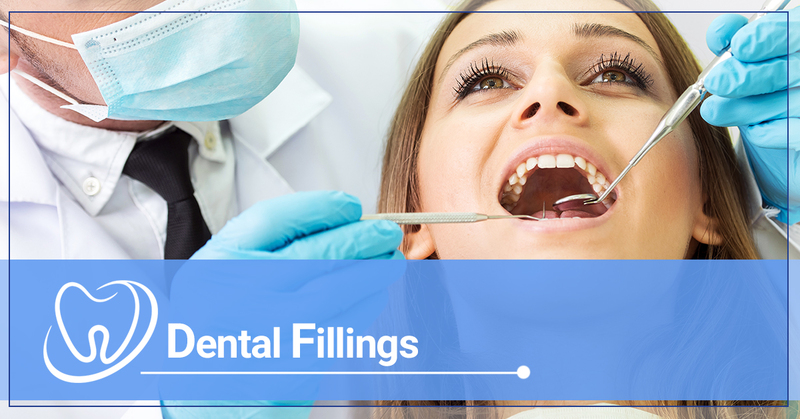 Today, there are a variety of options that you can pick from to fill a painful cavity. Here at Frederick Smiles Dental Care, we offer porcelain and composite resin dental fillings to restore your smile to optimal health and beauty. Known as “white fillings”, these restorations are an alternative to standard metal fillings, made from tooth-colored materials that are sculpted and adhered to teeth to repair decay. Because they look far more natural than the fillings of old, they are a superior choice for most patients. If you are interested in a composite resin or porcelain dental filling, we can help. We will begin by removing any decay and we will thoroughly clean the affected area. This will ensure that you are not trapping in decay with your filling. Next, we will fill the cavity with the chosen material to seal your tooth back up. This will help prevent pain when you are eating and will stop the decay from spreading. In some situations, a dental filling alone will not be enough. If you leave a cavity for too long, it can spread and cause severe damage to your tooth as a whole. In this case, your doctor might recommend a cap or crown. If the decay has reached your nerves, a root canal or pulp capping may be necessary. The longer you put off dental work, the more severe the damage will be and the more in-depth the solution will be. If you are concerned that you might have a cavity, it is time to come see the team at Frederick Smiles Dental Care. We can assist you in preventing further decay and we will address any pain you are feeling. We always begin by seeking the root of the problem and by walking you through the variety of options that are available to solve the issue. Through proper care, you can restore your teeth, leading to a beautiful and healthy smile. Don’t put off taking care of your teeth any longer. Reach out today to book an appointment and enjoy the benefits of our natural colored dental fillings.